Why does the mirror reflect you left-right, and not up-down? UNT students: put the course name and main idea on the subject line! UNT students: is the answer to your question in the syllabus? I don't respond to emails about private tutoring (non UNT students), web development, or coding. Graduate students: nagging is allowed, sometimes encouraged. Letters of recommendation: best ask 2-6 weeks before due date, more time is required if over a break. these go to PhD students in math at UNT. Post-doc positions (assistant professor) are another story. Saying mathematics is about numbers is like saying literature is about letters. Likewise, manipulating equations in theoretical mathematics can be about as important as manipulating grammar in literature. That is why mathematics often has more in common with arts and music than other scientific fields: We imagine what could be possible and leave other scientists to decide what fits. Indeed, many people choose theoretical mathematics because it requires more imagination than any other field they have encountered. Math is also #1 in job satisfication according to JobRated.com. Undergrads: see Tom Forde's page. supported by the National Science Foundation and Oklahoma State University, University of Oklahoma, and University of North Texas (UNT). Next meeting: TORA IX will take place Apr 7-8, 2018 at the University of Oklahoma. I work in pure mathematics at intersections of algebra, geometry, invariant theory, representation theory, and combinatorics. Recent interests include homological algebra, deformation theory, cohomology, and Drinfeld orbifold algebras (which include symplectic reflection algebras, rational Cherednik algebras, graded Hecke algebras, Drinfeld Hecke algebras, Weyl algebras, universal enveloping algebras, and twists by a group action or quantum parameters). I'm also interested in group codes, i.e., codes in computer science build on isometry groups and coset representatives. 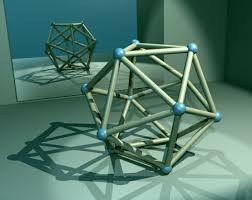 Physicists often regard space as a Calabi-Yau manifold endowed with symmetry. We model the local setting with a finite group G acting linearily on a finite dimensional vector space V. We mod out by symmetry to obtain the orbifold V/G which may have singularities. Geometrically, we might replace V/G with a smooth variety, but Hochschild cohomology recommends an algebraic approach: replace the ring of invariant polynomials S^G with the natural semi-direct product algebra S#G. Hochschild cohomology governs the deformation theory and predicts various algebras important in representation theory, combinatorics, and the geometry of orbifolds. Simons Foundation : Collaboration Research Grant for Mathematicians, Principal Investigator (100% credit), Award Number 429539. Texas Coordinating Board : Advanced Research Program Grant, Principal Investigator (100% credit), 2008--2010. Paisa Seeluangsawat, BS from MIT, MS 2005 from UNT, PhD 2011 from Univ. of South Carolina, currently software engineer at Google. "Noncommutative Algebra and Representation Theory" with Sarah Witherspoon, at Joint AMS/MAA national meetings, also part of AWM workshop, San Diego, Jan 13, 2018. "Noncommutative and Homological Algebra" with Sarah Witherspoon, in Denton, Texas, at University of North Texas, Sept 9--10, 2017. "Noncommutative Algebra, Deformations, and Hochschild Cohomology" with Sarah Witherspoon, in Lubbock at Texas Tech Univ, April 11--13, 2014. "Combinatorial Avenues in Representation Theory" with Nathaniel Thiem and Richard Green, in Boulder, Colorado, April 13--14, 2013. "Hecke Algebras and Deformations in Geometry and Topology" with Matt Douglass, in St. Paul, Minnesota, April 10--11, 2010. Paul Halmos' well-known essay on writing math. J.S. Milne's advice on writing math. Chris Gosil's advice on writing papers and sample latex. Terence Tao's list of go-to articles on writing math. Outside of office hours and giving lectures, your math instructor is likely advising graduate students, refereeing papers, writing grant proposals, preparing manuscripts for publication, doing editorial work for journals, reviewing budgets, writing talks, skyping or phoning with collaborators, reviewing university programs, writing reports, designing new courses, grading papers, evaluating grant applications, preparing lectures and exams, organizing conferences, reviewing graduate and job applications, revising articles, writing letters of recommendation, reviewing PhD theses, proof reading manuscripts, attending department meetings, updating webpages, writing computer code, completing mathematical computations, and proving new theorems. That is why many instructors ask you to make an appointment instead of just dropping by. I attended the at Valparaiso University---a small, liberal arts school in Indiana. I minored in the humanities, co-founded a comedy troupe, participated in many theatre productions, and worked for the music department as a piano accompanist. I decided to major in math after participating in a Research Experience for Undergraduates program at the University of Oklahoma. I also spent a semester at Hangzhou University in China (took Chinese language classes and also taught English at the Y.M.C.A.). Afterwards, I moved to California for grad school and scuba diving. 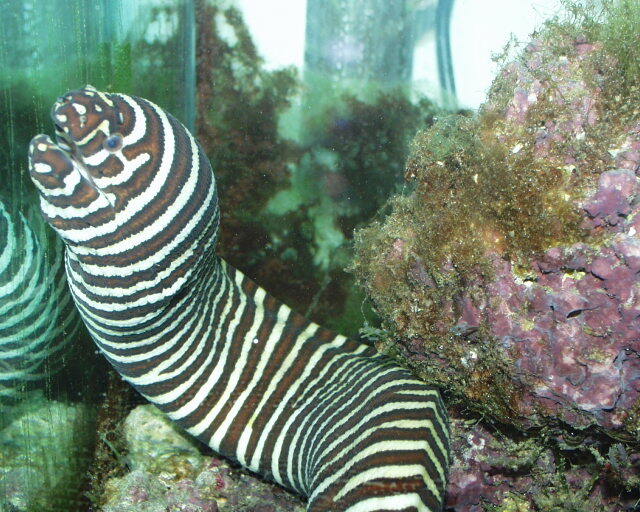 Moray eels provide nice examples for constructing orbifolds. 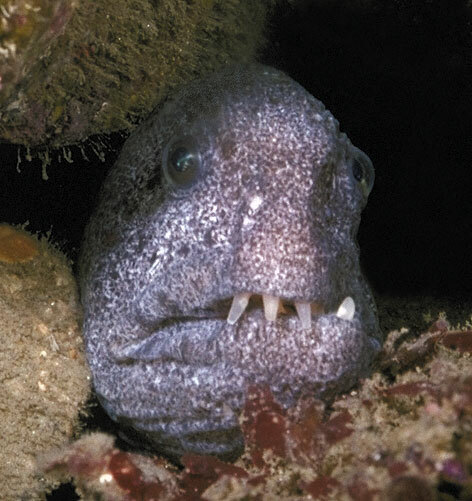 Maybe not the wolf eel. And, in case you were wondering, the Mason and Hamlin BB is 212 cm long. And, yeah, it does sound really "fat". Especially with custom Isaac hammers (swoon). Especially Pixies acoustic "Where Is My Mind". 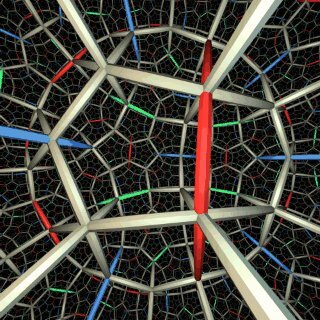 Images by Douglas Dunham (University of Minnesota at Duluth), and Charlie Gunn with The Geometry Center (Univ of Minnesota). 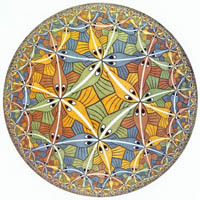 Coxeter says of Escher's print: "He got it absolutely right to the millimetre, absolutely to the millimetre. ... Unfortunately, he didn't live long enough to see my mathematical vindication."